Invest Northern Ireland is assisting six manufacturing firms to create over 40 jobs to help increase business turnover and export sales. Big Picture Joinery, Mango Bikes, Amphora NDT, Carey Cleaning Machines, Gault Engineering and Premier Protective Coatings Ltd have each been working on growth projects with support from Invest NI. Making the announcement on a visit to Carey Cleaning Machines in Ballymena, Moira Loughran, Invest NI’s Eastern and North Eastern regional manager said: “I am delighted that we are supporting six Northern Ireland manufacturing firms to create 41 new jobs in an effort to help these companies drive growth in turnover and increase their export sales. “Growing and strengthening our indigenous manufacturing businesses is at the core of our business strategy and these investments demonstrate that despite the global challenges facing certain areas of manufacturing, there is real opportunity for growth. In fact, based on data collected as part of our business strategy monitoring, the Advanced Engineering & Manufacturing sector saw the largest jobs growth on the previous year. 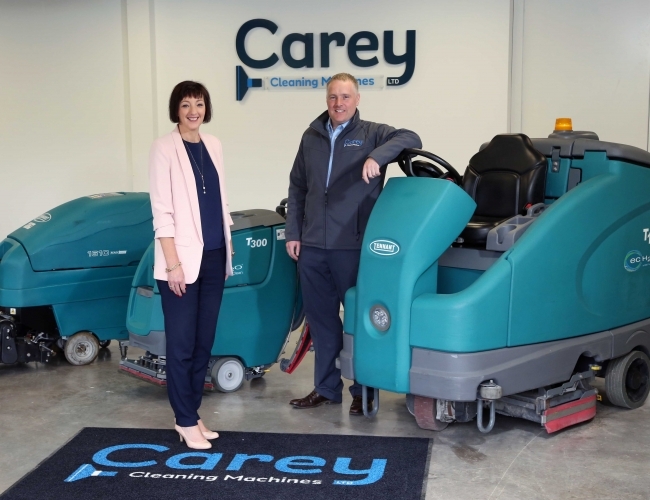 Carey Cleaning Machines Ltd is investing over £1.1million to help in its strategic growth and increase sales in ROI. Invest NI has offered the company support of £49,000 to create seven jobs and enhance its marketing capabilities. The investment also includes a significant capital build and equipment investment.